The threat of solar tariffs moved one step closer to reality on Friday when U.S. trade commissioners unanimously agreed that imported solar equipment has caused "serious injury" to domestic manufacturers. The vote handed a victory to Suniva and SolarWorld, which filed a rare petition under Section 201 of the 1974 Trade Act, arguing that cheap solar imports have made it impossible for them to compete. With the injury finding confirmed, the U.S. International Trade Commission will hold a hearing on October 3 in Washington, D.C. to consider possible trade remedies. The USITC will recommend tariffs to the president by November 13. The ultimate decision will be left up to President Trump, who has reportedly been pushing for more tariffs on imported goods. “We’re hopeful that the president will make a strong proclamation on remedy, and we’re hopeful that the industry can move forward together to expand and strengthen solar manufacturing here in America," SolarWorld's attorney Timothy Brightbill told GTM. Notably, the ITC determined that U.S. manufacturers have not sustained injury from solar cells and modules made in Singapore and Canada. Establishing the two countries as free trade zones could create a major opportunity for Singapore-based integrated solar equipment manufacturer REC. Canada currently has little to no cell manufacturing capacity, so the negative injury finding may have little impact. 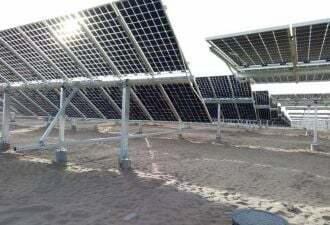 UPDATE: The commissioners also found that imports of crystalline silicon photovoltaic cells from Australia, Colombia, Jordan, Panama, Peru and participants in the U.S.-Dominican Republic-Central America Free Trade Agreement (Costa Rica, El Salvador, Guatemala, Honduras, Nicaragua, and the Dominican Republic) are not a substantial cause of serious injury. None of these countries has a substantial cell manufacturing presence today, but could become attractive places to invest in future. Imports from Mexico and South Korea, meanwhile, were found be a substantial source of injury to the U.S. market and consequently subject to tariffs. Brightbill said this element of the decision is "complicated" and petitioners are "looking at the implication of the votes with regard to the free trade countries." With respect to trade remedies, Suniva and SolarWorld are calling for duties of 40 cents per watt on imported cells and a floor price of 78 cents per watt on modules. If the commission approves the request, it could destroy 88,000 jobs in installation, sales and construction, according to estimates by the Solar Energy Industries Association (SEIA). Numbers from GTM Research are similarly bleak, showing that tens of gigawatts of solar installations could be wiped out compared to business as usual. “If we’re talking about a 40 cent per watt increase…it would take out a lot of projects,” said Morten Lund, a solar industry attorney for Stoel Rives, which currently represents SolarWorld in matters unrelated to the trade case. Suniva and SolarWorld have refuted SEIA’s job predictions, pointing to an economic analysis by the law firm Mayer Brown that found new tariffs on solar products would result in a net increase of at least 114,800 jobs across all segments of the U.S. solar industry. The vast majority of the U.S. solar industry is opposed to the request for trade penalties. Dozens of industry executives and government officials spoke out against the petition during a 10-hour hearing at the ITC last month, saying Suniva and SolarWorld brought their financial troubles upon themselves. Presidents and CEOs took turns describing their dealings with the two companies, recounting late deliveries, subpar panel efficiency and recalls on faulty panels. SEIA and its allies have launched an aggressive lobbying campaign against the import penalties. Earlier this week, the group filed a letter with the ITC criticizing Suniva and SolarWorld for not submitting a plan for how they'll function as viable U.S. solar cell and panel manufacturers if they are granted trade relief. With Friday’s vote, the commissioners denied requests from 27 solar equipment manufacturers, 16 senators and 53 members of the House of Representatives who sent letters asking for the petition to be thrown out. SEIA is already ramping up advocacy efforts with the Trump administration. During the remedy hearing the ITC will hear more testimony as it considers what trade penalties to recommend to the president. Under a Section 201 case, the commissioners can suggest tariffs, minimum prices or quotas on solar products from anywhere in the world. How the remedy is structured will have an enormous impact on solar companies, both within and outside of the U.S. Foreign solar panel makers are already weighing whether or not to open U.S. manufacturing facilities in the event of a severe outcome. High costs and time constraints make investing in the U.S. high-risk and potentially infeasible. 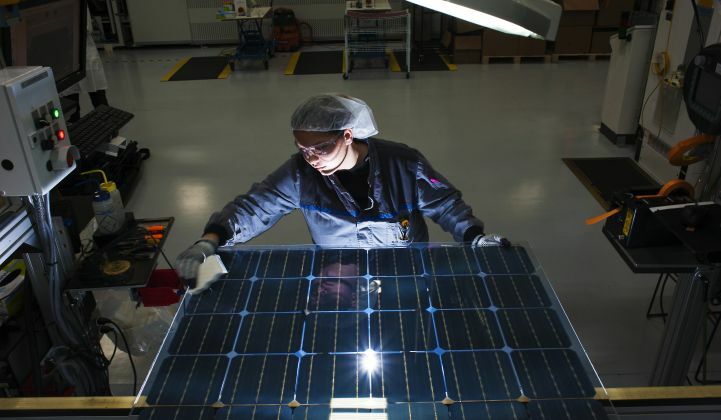 Thin film solar panel manufacturer First Solar, whose technology is exempt from tariffs, saw its stock price spike in response to the ITC news. The October 3 remedy hearing now looms large. Pre-hearing briefs and appearance requests are due by September 27 and a pre-hearing conference with ITC staff is scheduled for September 28. Due to today's unanimous decision, all four trade commissioners may vote on remedy recommendations, due November 13. The president will then have 60 days to issue his decision.